3 Tips for Getting Blinds Installed in an Open Kitchen - Longhorn - Screens. Shades. Shutters. Improving the way that your kitchen looks with new window treatments can be a great next move when you want the kitchen to be more enjoyable to cook in. If you’re looking for new window treatments that will be easy to care for and look great, blinds can be the perfect solution. 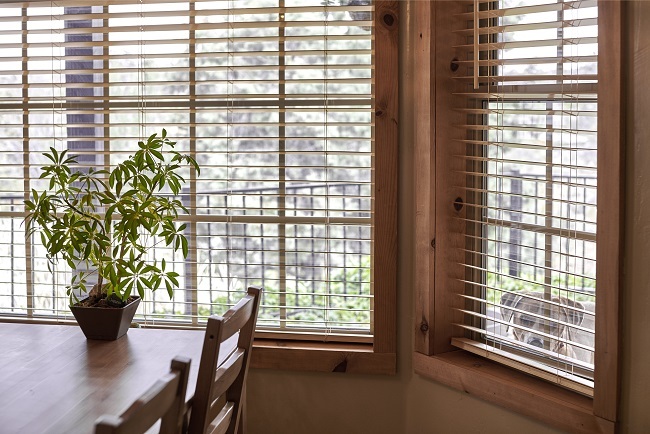 If you’re unsure of how to get started with picking out blinds, consider the following tips so that you can keep an open design in your kitchen after they’ve been installed. Since you want the kitchen to feel inviting, it’s important for you to carefully pick blinds based on how much natural light will be brought in. It can be frustrating to have blinds installed, only to be frustrated with how dark the kitchen is after they’re installed. Choosing blinds that are a bit thinner in design can let you have some privacy in the kitchen, while still bringing in plenty of natural light. The color of the blinds themselves can play a big part in how your kitchen looks and your options for future remodeling projects. Choosing lighter colors of blinds is vital since you want to make sure that the blinds won’t look out of place or make the kitchen look too dark. Depending on the size of your kitchen, it may be necessary for you to get custom designed blinds installed. Measuring all the windows in your kitchen before beginning to hang any of them is vital since you’ll need to make sure that they’re installed without any issues. Contact us if you have any questions about picking out the right window treatments for your kitchen that will be easy to care for and offer the look that you want in your kitchen.